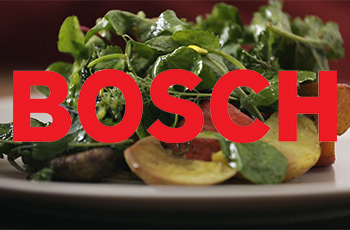 Food, People, Places is a webvideo series about food culture from all over the world. It explores cultural conversations about our most basic everyday activity - eating - portraying the growing community of entrepeurs and creatives in the field. We also feature the most exciting places where today's new food movements are happening and deliver recipe videos to give our audience a regular dose of who, where & what is happening culinary culture. As of January 2019 we released over 60 episodes, reached 75.000 Fans through Youtube and Facebook and the videos have been watched over 8 million times. Our project has been featured on Buzzfeed, Huffington Post, Gizmodo, Eater and many other media outlets. Watch more FPP-videos on www.youtube.com/user/foodpeopleplaces or www.foodpeopleplaces.com! 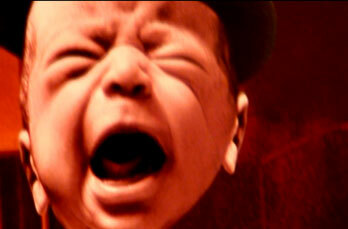 For arte.tv we developed this 10 episodes strong video series optimized for Facebook. Layout and look were adapted from the original TV format and translated into ideal social media content. 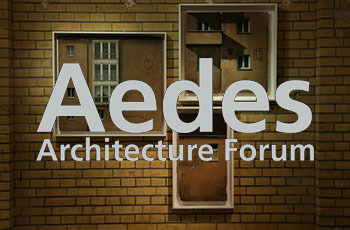 Stylized text inserts work as subtitles and become part of the entire visual art piece. The 1:1 framing gives the video the maximum scale on the Facebook feed, so the viewers have fullest experience. 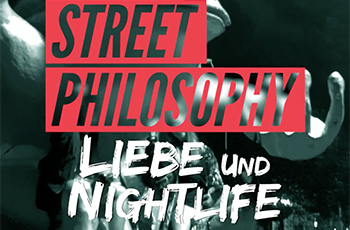 In terms of content, we took the key philosophical questions out of each 30min TV episode and passed them to the people in the streets of Berlin, to give them a voice and get some unusual perspectives. This series was produced together with our partners and friends from Weltrecorder. In 2019 the world celebrates 100 years of Bauhaus Design. For this occasion we produced 6 high quality Tutorial Videos about building your own bauhaus styled furniture. The concept for this series was based on the book „Hartz 4 Möbel“ by our good friend and design influencer Van Bo Le Menzel, who is also hosted these films. 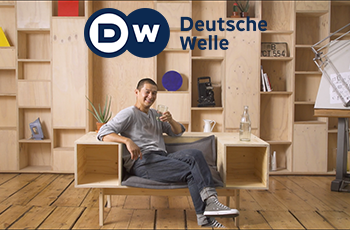 This series aired worldwide on YouTube and in TV via the huge variety of international Media Partners of the Deutsche Welle. Which whiskey cocktail do you know? Whiskey Sour? Any more? Well, there are classic Whiskey Cocktails like the Smash or the Sazerac but of course you can also do new exciting variations never tasted before. 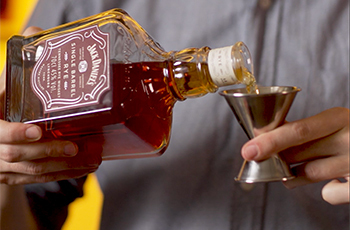 Brown Forman, the mother company of Whiskey brands Jack Daniels and Woodford Reserve hosted the "Master of American Whiskey"-Program where they teach aspiring bartenders everything about Whiskey. Agency KMB was searching for a production company, who could produce visually stunning cocktail tutorials, which would be integrated in the Content Strategy to create visibility for the Whiskey-program. As food video is one of our specialities it was the perfect match, we produced 8 Cocktail tutorials, short clips 30-45 seconds, optimized for Facebook usage. When our friends, the world famous electro-hip hop group “De fofftig Penns”, said they were throwing in the towel, we know we had to do something. Fifteen years of rapping in a dying dialect, nonstop party and total nonsense could not just be forgotten. So together we made a documentary, telling their story. Here is a small excerpt, as the full version has not yet been officially released. 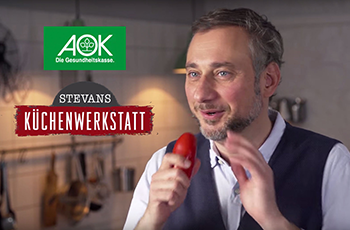 We were commissioned by WDV to bring their „Küchenwerkstatt“-format for AOK Baden-Württemberg to life, presented by famous cookbook author Stevan Paul. Stevan presents seasonal, healthy recipes which are easy to cook. Cooking can be simple, fun and healthy and Stevan shows how! Melt the Barrier! Every flavor is possible! Läderach chocolatier suisse approached us for a collaboration featuring their premium products. How do you feature a sponsor and still make entertaining fun content for you audience? 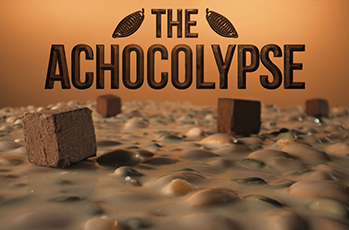 We came up with THE ACHOCOLYPSE, which shows the variety of tastes that Läderach is offering, and tells a crazy apocalyptic chocolate-story all at the same time. In China, as in many countries, people have been moving to the big cities. The region of Songyang decided to combat this trend with small architectural interventions, designed to revitalise the area. 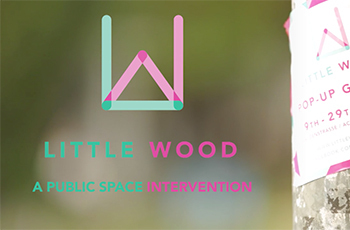 We were invited to document nine of these projects, to help cultivate ideas for rural regeneration. We were invited by the Tourism Board of the Swiss Jura & Three Lakes region to visit their beautiful area. 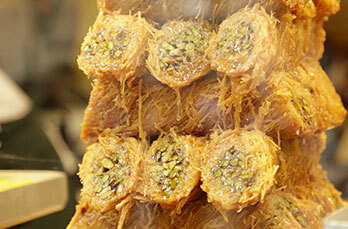 We produced a 5-part documentary travel web series about the region, featuring it’s food as the main story focus. 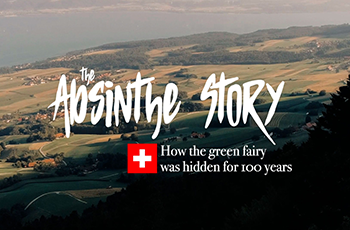 We were amazed to learn that Absinth was originally invented in a little valley called Vals-de-Travers, so one of our videos explored the Absinth tradition and the mystery of it being banned for more than 100 years. Festivals : La Jolla International Fashion Film Festival, Interfilm Festival Berlin, Aesthetica Short Film Festival York and many more. Diving through the mind's eye … sifting debris of the splintering conscious … lurking in chambers of hope and memory … spark ignites the other in self … stealing dominion in fragile reality … both collide … who shall prevail? Alter Ego is self-initiated Fashion Film by Reframe's RUSCH MEYER and his DP/Co-Producer Robert Staffl. The film was widely distributed through social media, featured on fashion blogs such as Ben Trovato, and is currently travelling the film festival circuit with 10 invitations so far. It has been nominated for four International Fashion Film Awards (Best Director, Best Actress, Best Makeup, Best Visual Effects) and is now represented internationally by the film agency Aug&Ohr Medien. 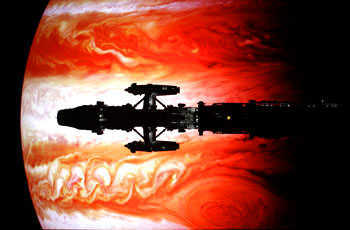 Festivals : London Sci-Fi Festival, Toronto After Dark Film Festival, Grand Rapids Comic Con Film Festivla, and many more. With this crowdfunding video and a well run online media campaign, Reframe's Otto Stockmeier and director Derek Van Gorder raised a $37,317 budget to finance a short sci-fi film. Part of the project was to use no CGI or greenscreen and instead stick to old school in-camera effects, a strategy which not only produced amazing visuals but also resonated well with online audiances. After finishing the film (watch here) it has been in numerous film festivals and featured on major media sites such as WIRED, io9 and Slashdot. Löppt is the first single of De fofftig Penns' Debut Album, Dialektro. The lyrics of the song are nonsensical and the video reflects that. Löppt means "it flows". The film was directed and produced by Reframes' Moritz Dirks, shot by Till Vielrose on location in Berlin and Hamburg and edited by Felix Rudek. 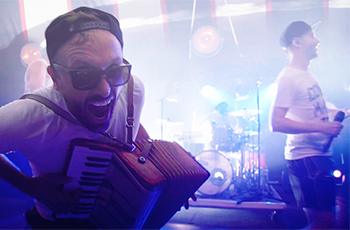 The video had guest appearances by MC Fitty and Jared di Baba. Löppt was shared widely on social media and has received over 500,000 YouTube views to date. Our second channel platform has a rapidly growing presence on various social media platforms and has been featured on No Film School, Petapixel and fStoppers among other blogs. How does "Fairtrade" really work? Karma Classics is an organisation that uses crowdfunding to to create fair-trade options for classic clothing and accessory pieces. They invited us to come with them to Pakistan and document their fair-trade cotton supply chain, to give the crowd a look behind the scenes. It was truly an incredible experience. Our society is changing, the question of how and why we work is raised and the idea of an basic income for everybody is on the table. The Berlin based project Mein Grundeinkommen gathers money from the public and gives it to individuals as one year basic income through an open lottery. We portrayed one of the winners and talked to him about having basic income and the benefits it provides. Web-video is the tool to create crowd awareness. 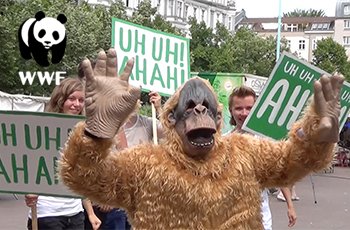 The youth department of the World Wildlife Fund wanted to attract attention towards the living conditions of the animals in our society, so together with the 10hoch16 agency we confronted the public with the animals and their needs in a very playful and entertaining way. Lets cheer for the wildlife. Why shouldn't refugees in Germany be able to live in shared flats (or other normal housing situations) instead of mass accommodation? 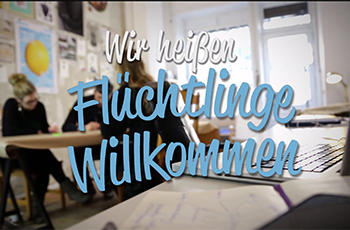 "Refugees Welcome" thought the same and set up a website to help refugees find homes in shared flats. To help them on their mission we produced this short promotional clip. 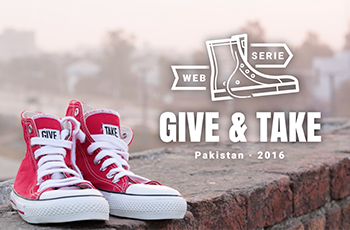 Karma Chakhs are fair trade , converse-style shoes. 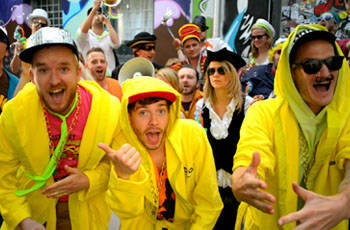 They were financed through a crowdfunding campaign on Startnext.de by the karma activists Lee Van Bo and Shai Hoffmann. 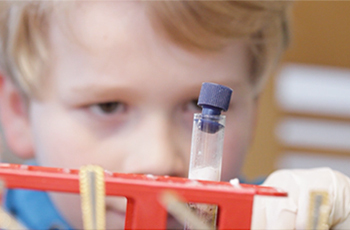 Reframe was asked to produce the pitch video for the crowdfunding campaign, which was hugely successful. The campaign reached the goal of 35.000 € in the first 15 hours and after 5 days raised over 73.000 €. The crowdfunding video was distributed solely through social media. When Abnormal Gallery approached Reframe's Otto Stockmeier about making a video for their "The Golden Age" exhibit opening, they made it clear they wanted something unusual. This video sets out to capture the spirit of the event, the energy of the crowd and the strangeness of the art. 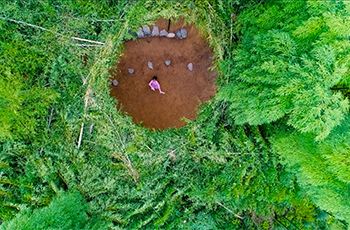 Reframe is a Berlin based director's collective that specializes in high quality online videos. 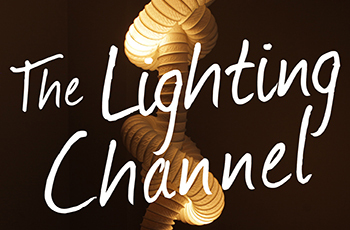 By combining top production value and online media expertise we deliver elegant films designed for an internet audience. All of our projects are spearheaded and produced by our creative team, which consists of Moritz Dirks, Simon Ruschmeyer and Otto Stockmeier. For bigger projects we pull aboard colleagues from our large network of film professionals. Each film has a specific form and function and it is our goal to clearly define these targets from the start. Therefore, each project begins by setting some basic parameters--what's the goal of the video, who is the audience, how will it be shared, etc.-- and from this information we design a concept and strategy that will best meet your needs. Once we've agreed on a concept we bring together the right professionals and the proper tools for the job. Our team stays up-to-date on the latest technologies and equipment, which gives us an edge in providing state-of-the-art imagery. Finally, we go through production and post-production, carefully crafting the perfect video. There's more to a successful webvideo than just uploading it. We're experienced in finding the best online outlets, and know how to effectively utilize the blogosphere and social media - so whether you just want advice, or for us to take over the whole online campaign - we can help ensure that your video successfully reaches its audience.